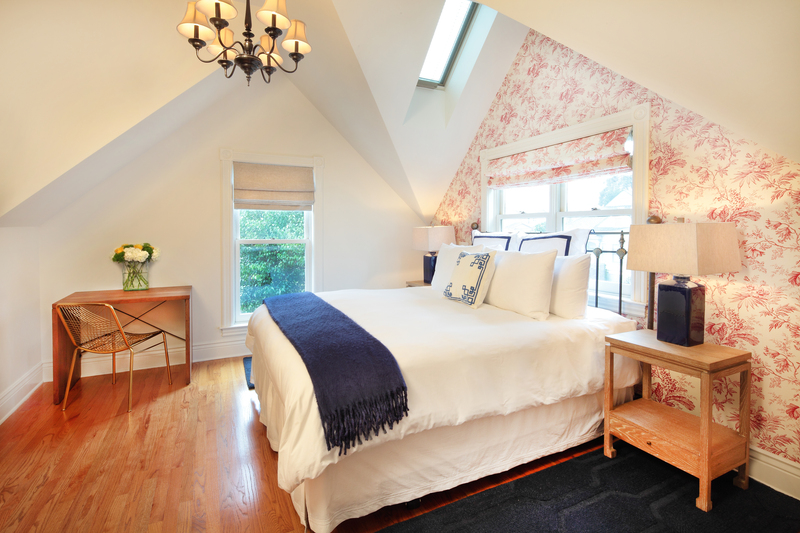 As you reach the top floor of the Grape Leaf Inn, the Roussanne room welcomes you with a tasteful, floral charm. The tall, vaulted ceilings feature a pair of skylights, which fill the room with an array of sunshine and couple with the other neighboring windows to truly bring the space to life. From the comforts of the king size bed, there’s plenty an opportunity to relax with your feet up, while casually surfing through the channels of the large, flat screen television. And for a little extra warmth and atmosphere, the fireplace below is ready to put on a show of its own. 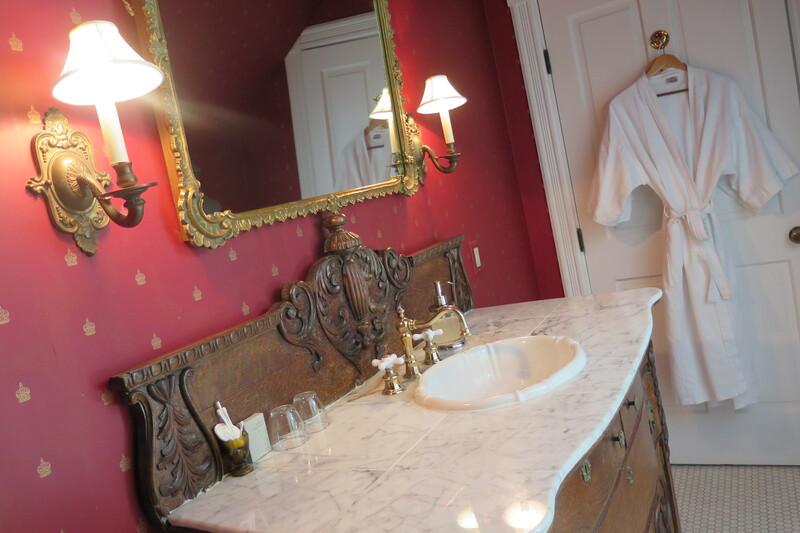 A step inside the romantic bathroom allows one to discover a stunning vanity with an elongated marble top and matching sink and bath faucets. 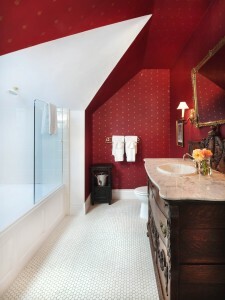 The deep tub also features massaging jets, with a shower and skylight overhead, adding to the rich lighting of the room overall. A rare three dormer Queen Anne built in 1900, the picturesque Grape Leaf Inn combines luxurious comfort with elegant, yet approachable style. Surrounded by awarding-winning lush gardens and century-old evergreens, the Grape Leaf Inn is tucked away on a quiet historic street, a four block walk from fine shops and restaurants and minutes from more than 104 wineries.